This body care treatment combines an exfoliating Dead Sea mineral scrub, the Vichy shower, and an essential oil massage to relieve tension, enhance circulation and detoxify and moisturize the body. After exfoliation with therapeutic salts and a relaxing massage, the body is detoxified with a Dead Sea mud wrap and essential oils. This is followed by a Vichy shower. 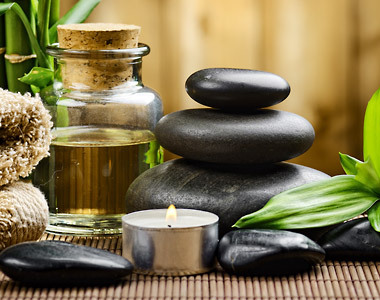 These combined body care services restore balance and harmony to dry and sensitive skin, while providing stress relief. The mud wrap may be substituted with a golden mask and foils.